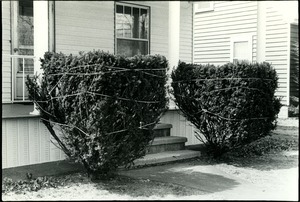 3 results found for: subject:"Shrubs--Photographs"
Manchester (N.H.) - Pruned shrubs wrapped in rope against the front walkway to a home. 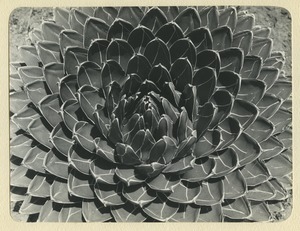 Vista (Calif.) - The open leaves of a succulent plant. Amherst (Mass.) 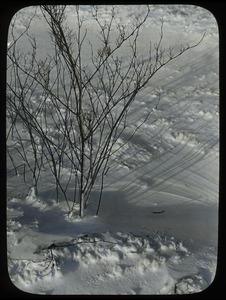 - Hand-colored image of unidentified shrub casting shadows in the snow; possibly in Amherst area.